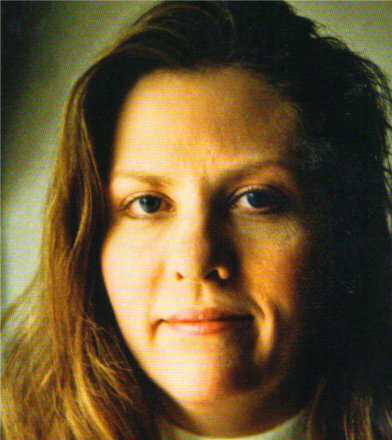 Kristen Gilbert was born on 13 November 1967 in Fall River, Massachusetts as Kristen Strickland. At school she was a typical teenage girl but as she got older she began to develop dishonest habits in her relationships, which were also tinged with violence. After school she went to Greenfield Community College, in Massachusetts. She began stealing and then denying it. She even told one victim that she had not stolen her blouse even though Gilbert was wearing it at the time. In 1988 she married Glen Gilbert and shortly after began work on Ward C of the Veteran’s Affairs Medical Center in Northampton, Massachusetts. Her colleagues found her friendly and sociable and her bosses gave her performance top marks. In 1990 she gave birth to her first son — life seemed great. When she returned to work on the 4pm to midnight shift, things began to go wrong. Patients began to die when Gilbert was on duty. She often gave her unqualified medical opinion, leading her colleagues to nickname her the Angel of Death. Many of the patients died of heart attacks, even when there was no history of cardiac problems. In 1993 Gilbert gave birth to her second son. Her home life changed and Glen told friends that he thought his wife was trying to poison him. She began an affair with James Perrault, a security guard at the hospital. In December 1994 she left her husband and sons to move in with Perrault. The death count on the hospital continued to rise. Her colleagues checked the stock room and found that there was a shortage of epinephrine (synthetic adrenaline), a drug that stimulates the heart. One day Gilbert asked her boss if she could leave work early if one of her patients died and was told that she could. Shortly afterwards, the patient died. In February 1995 an Aids sufferer had a relapse under Gilbert’s care and her fellow nurses went to the hospital authorities. In Gilbert’s seven years on the ward, 350 men had died. It was believed that Gilbert would dose the men with epinephrine so they would go into cardiac arrest, when her lover would be called. She would then impress him with her nursing skill. When she was suspended from the ward the death rate returned to normal levels. In mid 1996 James Perrault tired of the affair. Kristen Gilbert took an overdose and was admitted to the psychiatric ward. When some of the victims’ bodies were exhumed, epinephrine was found in the body tissues. In 1998 Gilbert was charged with murder and Perrault testified against her. He claimed that she had told him, “You know I did it, I did it. You wanted to know, I killed those guys.” On 14 March 2001 Gilbert was convicted of three counts of first degree murder, one count of second degree murder, and two counts of attempted murder. She was sentenced to life in prison without the chance for parole plus 20 years.